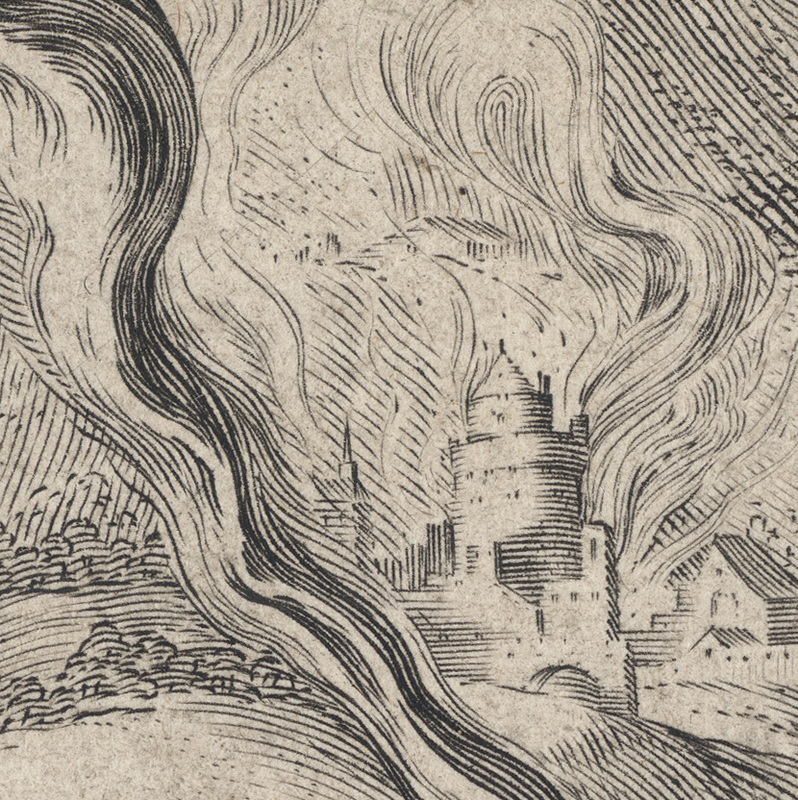 Engraving with watercolour restorations on fine laid paper, trimmed to the image borderline with text lines below the image and backed with a support sheet. Lettered on plate below the image borderline in four lines of Latin in two columns by Franco Estius (fl.1580s–1594): "Ferreus hinc fremuit ... / ... Pudore Fides." Condition: richly inked and well-printed impression trimmed to the image borderline with text lines below the image and backed with a support sheet of archival (millennium quality) washi paper. 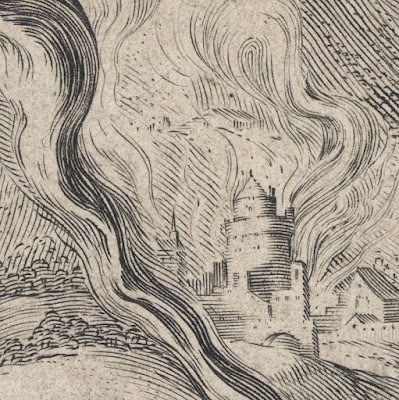 Important: there is a significant loss on the right edge that is restored with infilled watercolour. 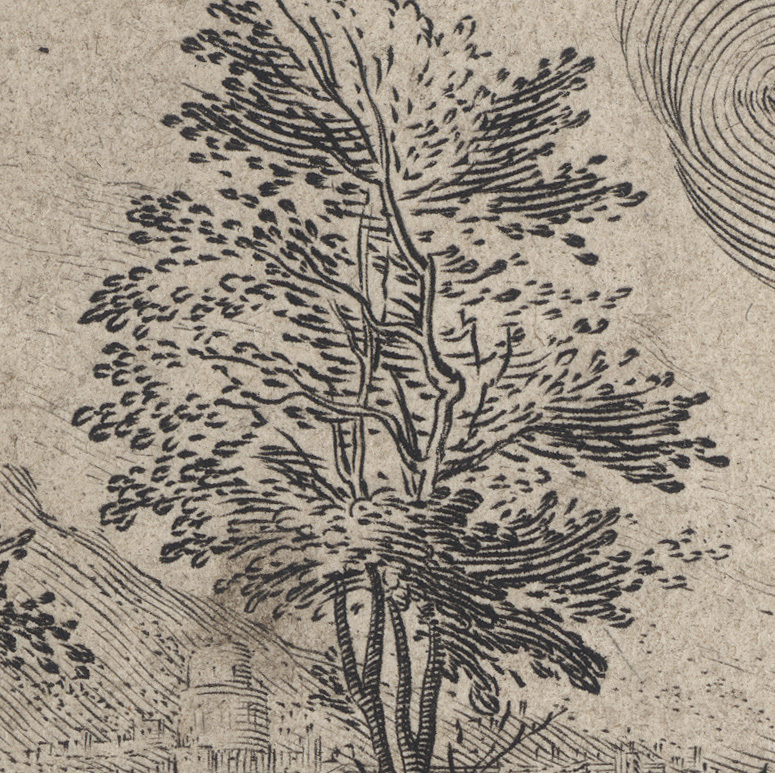 There is also a pin hole at the upper left corner. 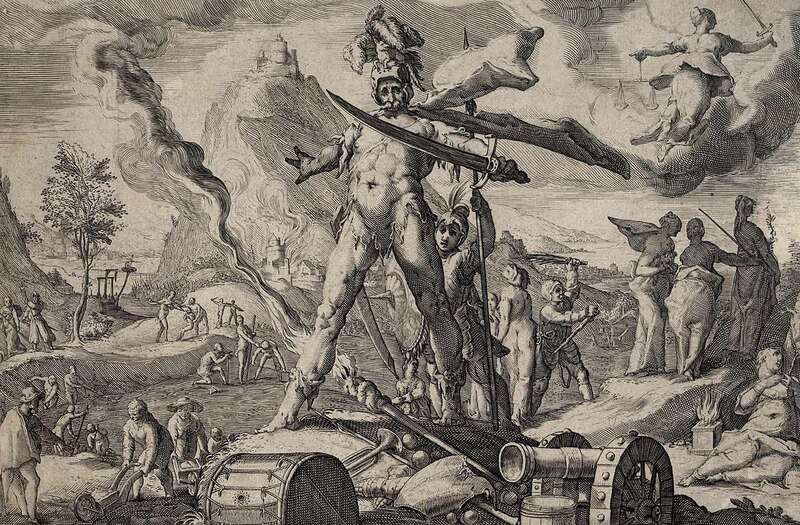 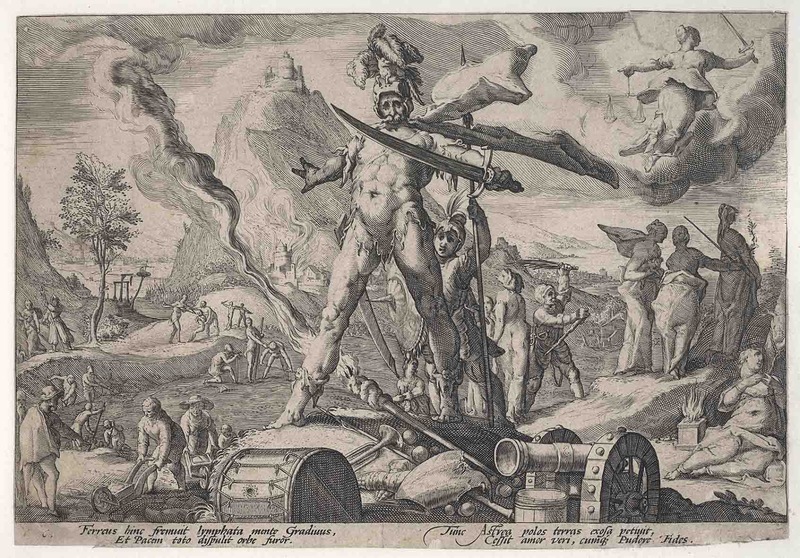 I am selling this graphically strong and important allegorical print from the workshop of Goltzius for a total cost of AU$266 (currently US$193.23/EUR169.69/GBP152.06 at the time of posting this print) including postage and handling to anywhere in the world. 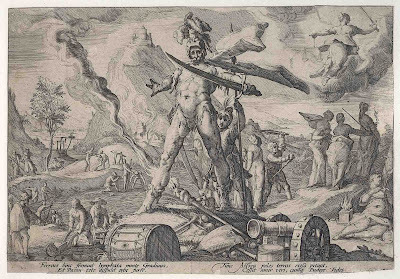 If you are interested in purchasing this rivetingly eye-catching engraving showing a mature aged figure banishing an enormous sword as the personification of the Iron Age, please contact me (oz_jim@printsandprinciples.com) and I will send you a PayPal invoice to make the payment easy. 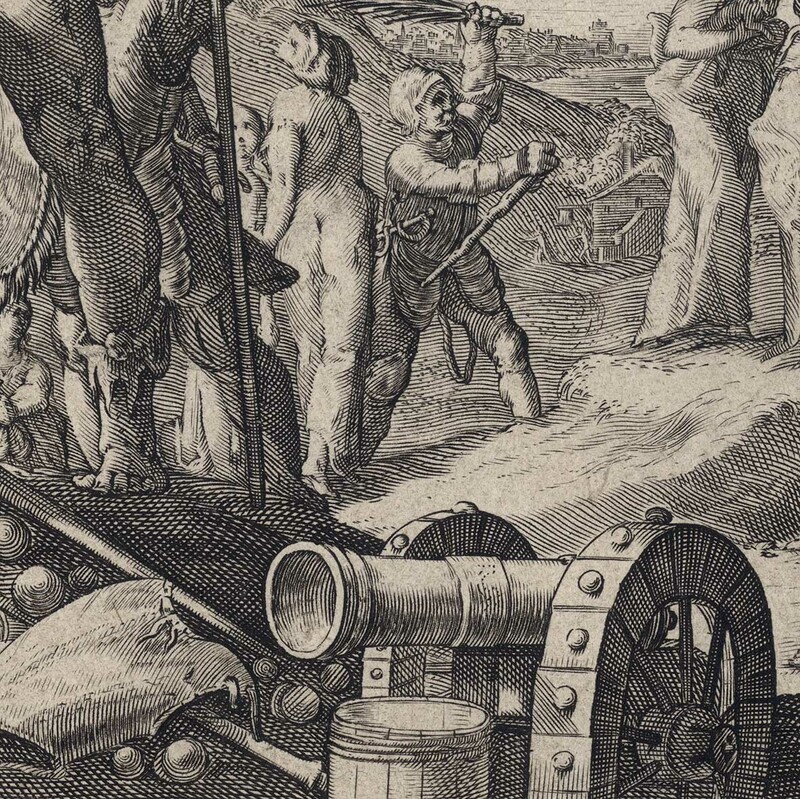 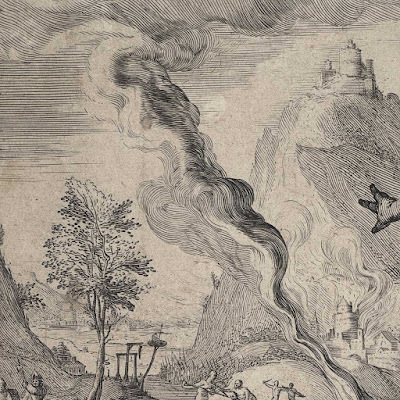 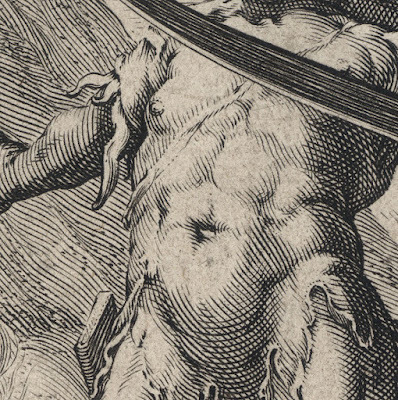 All the elements that I love about Goltzius are revealed in this engraving. 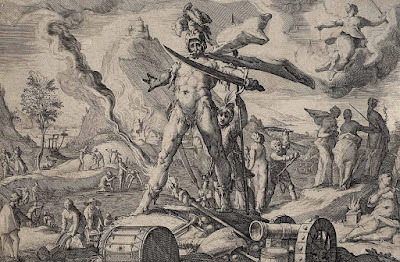 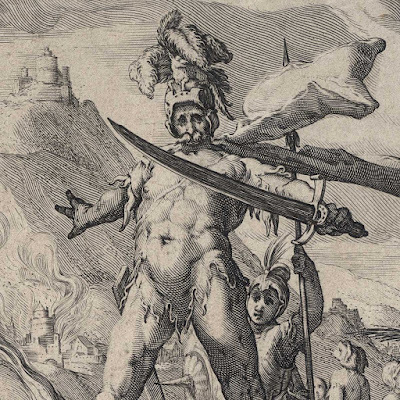 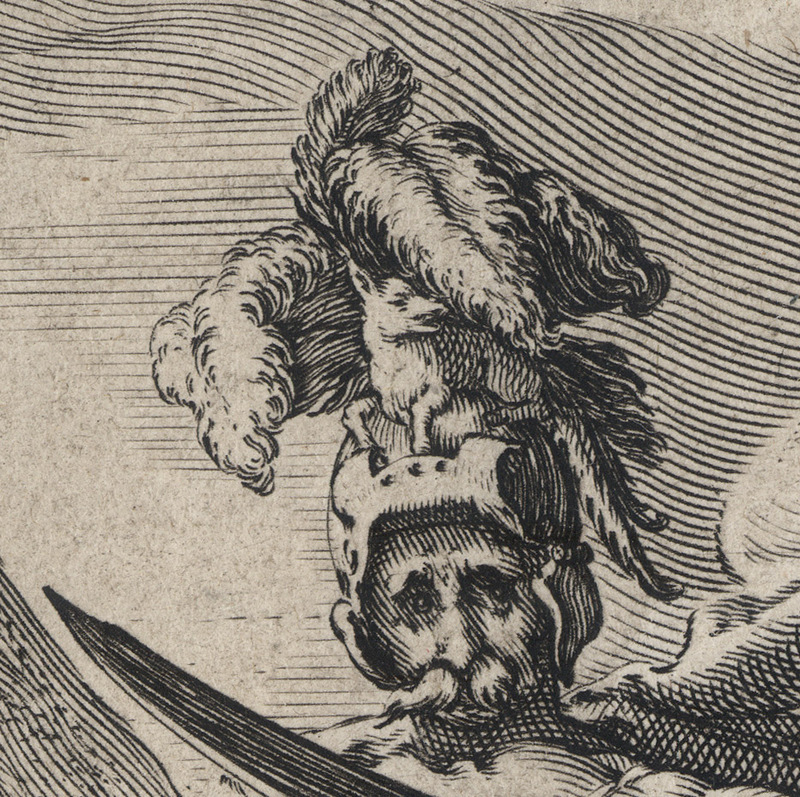 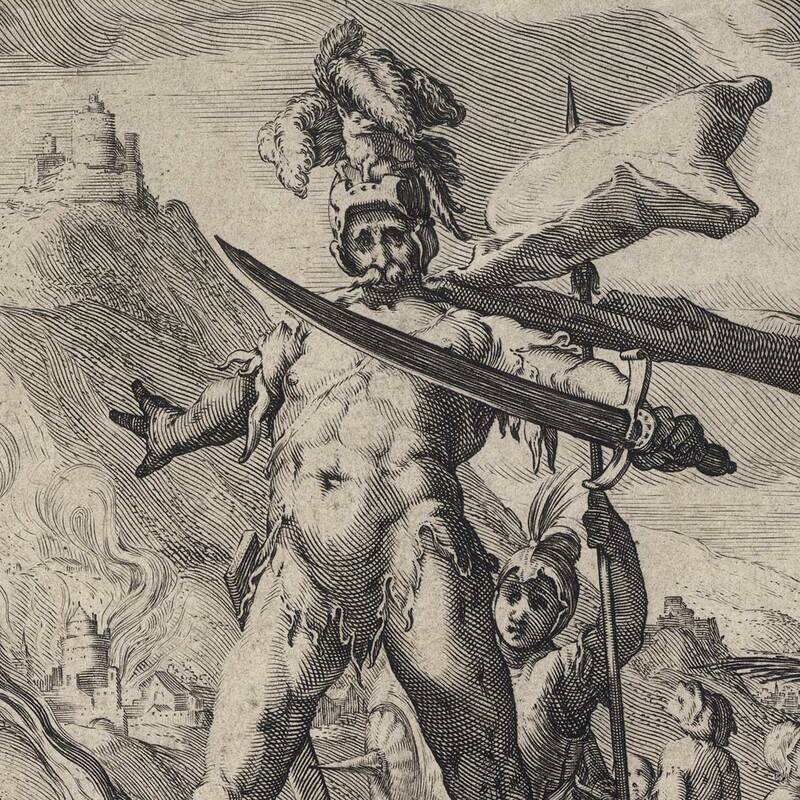 For example, the key hallmarks of the latter style of Goltzius—one of the most skilful and influential of the Dutch printmakers of the 16th and early 17th centuries—are epitomised in the extreme musculature and theatrical gestures of the warrior standing “spread eagled” with his lush moustache, elaborate helmet and very little else in the way of clothing. The flamboyant swirling rhythms and creative musculature seen here are commonly known as “Spangerisms”—a term arising from the mannered later style of Bartholomeus Spranger (1546–1611)—and in this print I can see “special” muscles on the heroic figure’s thigh that would make anatomists shake their heads in wonder. 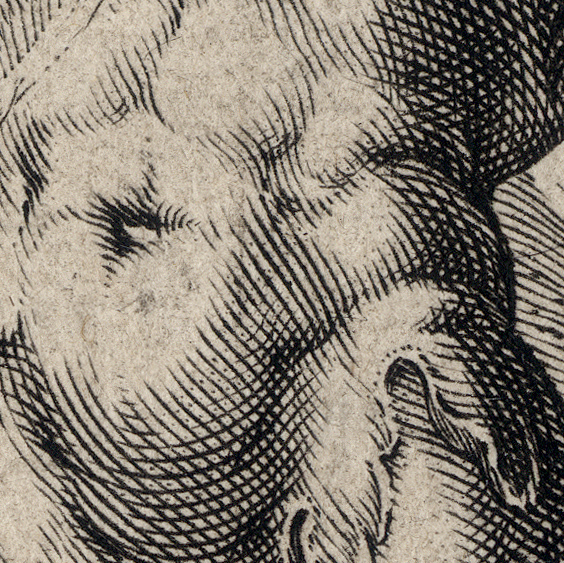 From a technical standpoint, there is also the rendering technique that made Goltzius' name famous: the “Dotted Lozenge.” This device is simply a dot placed in between cross-hatched lines so that the transition of tone from dark to light is facilitated. In terms of its effect in making contours appear fluid and very real, this was a major advance in the art of engraving and the delicate skill of the unidentified engraver(s) from Goltzius' workshop who employed the dotted lozenge technique in this print is stunning.